Imagine revitalising the coal industry and disrupting the agriculture market all in one fell swoop. That is the extent of this ASX listed stock’s ambitions. This ASX company plans to make money and fertiliser out of Australia’s vast coal reserves. And they plan to make it happen in seconds and to produce zero emissions from doing so. The company is targeting the wheat industry by improving yields at a fraction of the cost of traditional techniques – and when wheat is the major crop grown in Australia, with a value of AU$7.1 billion, it’s quite a large market to be disrupting. The company has a license to use a proven process invented by Professor Ken Anderson, of Southern Illinois University (SIU) in the USA. 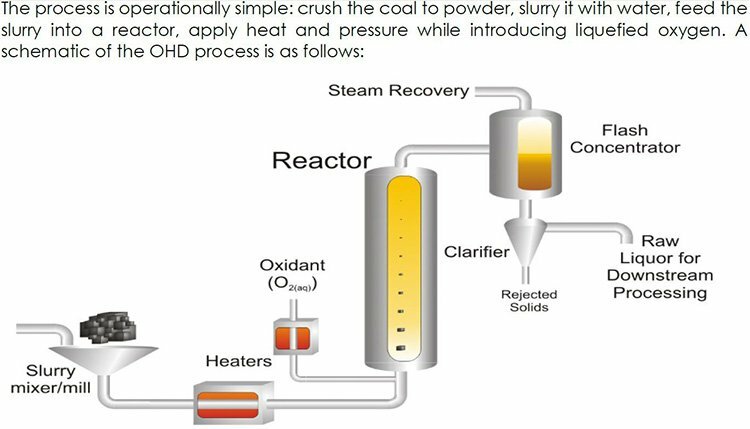 The process – OHD, or oxidative hydrothermal dissolution – converts coal into a bio-stimulant fertiliser (again we stress the point that it can do this in mere seconds). Like how farmers add fertiliser to ensure they get a good crop on any given year, bio-stimulants can be added to do the same; increase yield but are traditionally very expensive and were only used on high-value crops. Recent trials on wheat demonstrated this company’s fertilizer can increase wheat yields by circa 300%. This company is in an enviable position to disrupt the market as it is able to produce bio-stimulant fertilisers at 1/10 th the cost of traditional fertilisers and owns the rights to distribute its product internationally. Of course this company is in the early stages of its development and investors should therefore take a cautious approach to any investment decision made and seek professional financial advice with regard to this stock. It has its hands on some of the ‘purest’ coal going round... coal in the La Trobe Valley in Victoria. La Trobe Valley coal is young and has a low ‘ash’ content (3% to be precise). If you don’t know much about coal, low ash content is quite rare – ash being the informal term for the waste material leftover once the carbon has been burned, some of which can be toxic. Those in the industry have been aware of the quality of coal in the La Trobe Valley and today’s company holds an application for an Exploration License which would give it rights to an area in the La Trobe Valley which has an abundance of coal mines and the potential for additional large coal resources. The License could give it the coal to continue to develop its proprietary technology, which it hopes to use for production of coal generated fertiliser in just 18 months to two years. In October last year, this company started the first phase of tests using liquid produced by the application of the OHD process as a plant growth bio-stimulant. The test were carried out by Monash University with very positive results. Testing is being expanded to cover a wide range of cereal crops. At this stage, by all accounts this could be the game changer the coal industry has been looking for and there has already been interest from national and international power groups looking at offtake agreements. Yet these aren’t the only markets this company is targeting. It has another clean energy play up its sleeve. This company has a lithium play in Guyana, an underexplored nation north of Brazil. It’s currently exploring the tenements with results due in weeks to see how prospective they are for lithium-bearing pegmatites. By all accounts the lithium prize for this company could be rather large given its tenements are identical to the Pilgangoora “Hotzone” in Western Australia, which hosts over $2 billion of ASX listed lithium explorers and developers. Add to that a third potentially winning card up its sleeve – a license over prospective tenements in the Northern Territory with confirmed potash resources and potentially lithium brines. With results of exploration testing to be released to market in the coming weeks you get the picture of a company looking to make significant gains in highly lucrative and growing potash fertiliser markets. This company is making an early-stage power play on several green markets, with a new technology in tow in a bid to disrupt the fertiliser market and create its own clean energy paradigm. With its latest update on the OHD project, and positive findings imminent from its lithium play in Guyana, Greenpower Energy Limited (ASX:GPP) is set to ‘swipe right’ on the global green energy thematic. Having just released its latest OHD trial results, we could really see some attention, and potential share price movement, happening soon for GPP. The way it looks at this stage, this $24M capped seed of a company could soon blossom, or spread like wildfire. Considering how big the fertiliser industry is in Australia; and the expertise and diversification GPP has to bolster its business; we could well be entering a long spring for this green game-changer. And that’s only taking into account the moves it can make with its OHD technology. GPP’s lithium angle is a way to add its voice to a growing chorus of companies attempting to make money through exploring and identifying commercial quantities of lithium. Let’s first look at GPP’s OHD play, because when it comes to the unusual proposition of turning traditionally dirty assets like coal and oil into something ‘green’ (quite literally) it’s a whole new world we’re talking about. 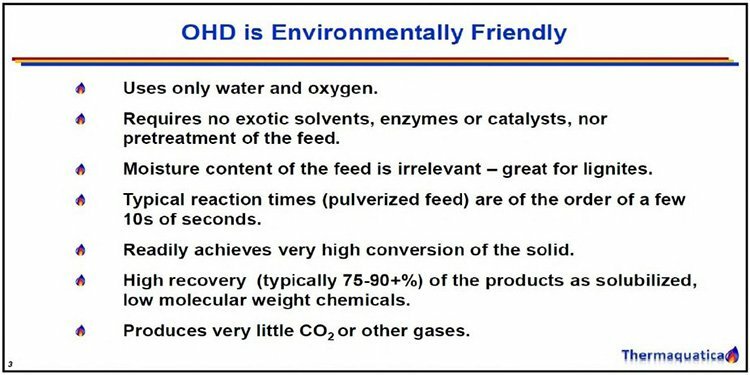 OHD is a brand new process for making good on the global slowdown of coal by turning it not into an energy source, but a bio-stimulant fertiliser. This is a play that could shake up the global agricultural sector by significantly increasing crop yields without increasing input costs. To put the above images in context, GPP coal from the Gippsland Basin in Victoria was subjected to the OHD process and the resulting bio-stimulant fertiliser liquid was applied to test crops at application rates of 5L/ha through to 70 L/ha in addition to control plants. The results from the trials on wheat were impressive . 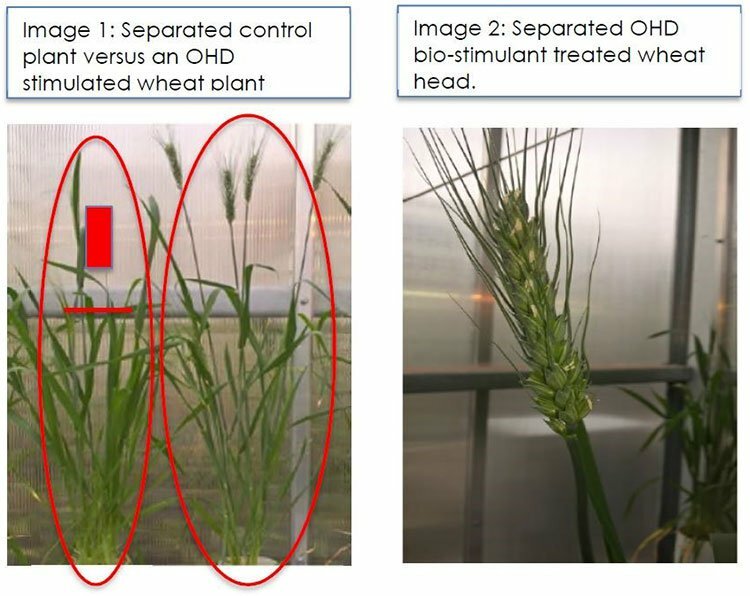 With the application of OHD liquor, there were significantly more heads of wheat per plant, particularly at applications rates of 5L/ha and 35 L/ha which had 3.0 and 3.3 heads respectively compared to the untreated control of 0.8 heads. There was increased plant total fresh head mass (~200%) with application of 5 and 35L/ha of OHD liquor with 2.9 and 3.2 grams respectively compared to 1.3 grams in the untreated control. A similar trend was evident in the plant total dry mass per plant with a higher yield (~150%) with application of OHD liquor at 5 and 35L/ha with 0.6 and 0.8 grams respectively compared to 0.3 from the untreated control. So, what exactly is OHD? Oxidative Hydrothermal Dissolution is the descriptive name for converting carbonaceous material (of which coal is one) into a range of low molecular weight organic compounds. And, in case you were wondering what makes GPP so special when it comes to a process that is already publicly known, that would be that the company has the exclusive license to use the technique in Australia and NZ. 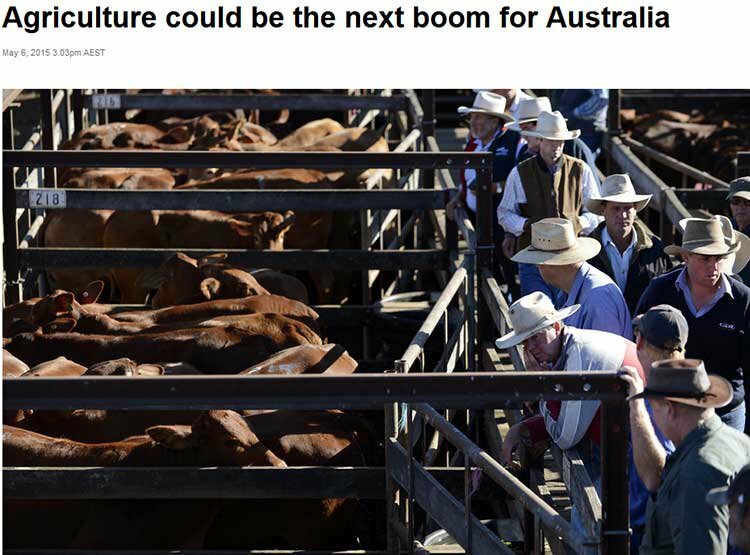 The ABS confirmed that agriculture is now Australia’s second biggest export industry – second only to iron ore, but catching up to it. Australian agriculture and food exports totalled $46.5 billion, 14 per cent of the total value of Australia’s goods and services exports for that year. If you have a way to positively disrupt that industry and win major business through an environmentally friendly solution, well – don’t look a gift horse in the mouth. Especially when it’s standing in an enormous farm (called regional Australia). 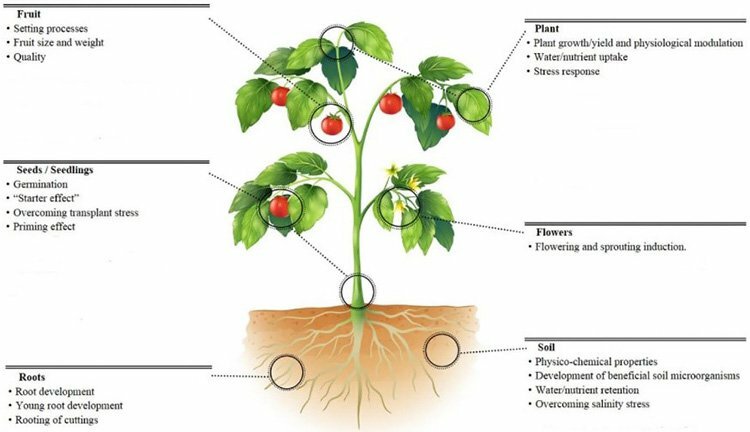 Beyond wheat, if we look at an individual plant, for example a tomato plant, there are various ways the OHD will help with its proper growth. Basically, bio-stimulants work well because of the multi-targeting properties, where one application can assist both the crop and the soil. So that covers both fruit yield/growth, as well as water/nutrient retention and root development... meaning it should also help next year’s crop program, too. 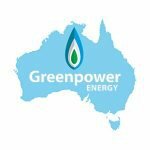 Getting back to the company’s name – ‘Greenpower’ – it’s important to note that not only does this use of coal avoid the burning of coal for energy (and profit), the process in and of itself is environmentally friendly to manufacture. It is actually quite basic, even though it’s a very new idea, and involves only water and oxygen – and some heat. It’s also very quick – we’re talking seconds to be converted from coal to bio-stimulant. This clean tech product brings environmental concerns and Australia’s agriculture business onto parallel tracks for GPP, and both are heading for potential profits. Although any profitability is speculative at this stage and not guaranteed to occur, so seek professional financial advice for further information with regard to this stock. In October the company announced the results of trials proving that OHD significantly increases crop yields . Yeah, that’s set to rattle some cages in what is an $8 billion Australia and NZ fertiliser market... GPP has invested about $4 million in the idea so far and with more positive results, it’s likely to invest a lot more. As we have noted, GPP in conjunction with Monash University is planning further trials with OHD bio-stimulant fertiliser to cover oil cereals. Its focus will be on Canola and at the request of international parties’ Palm Oil. GPP believes these trials should deliver positive results as studies have concluded that the OHD bio stimulant fertiliser enhances reproductive activity in plants that produce flowers and seeds. As confirmed in trials involving tomatoes an application of the OHD fluid causes the tomato plant to produce more flowers and [ultimately] more fruit which translates into more kilograms of fruit per plant. The same has now been confirmed with wheat and is anticipated will be confirmed at the completion of Canola and Palm Oil trials. The initial horticulture and cereal crop trials showed increases of up to 300% and a reduction in fruit rot by ~53%... which is a very tidy increase in profits for farmers. It also demonstrated the cost savings of OHD production, costed at around 1/10th the cost of traditional bio-stimulant fertiliser manufacture. Monash University is completing the trials for GPP, which reveals a keen interest in the process from one of Australia’s top universities. The other partner in on the process is Thermaquatica Inc – which aims to commercialise a proprietary and patented technology for processing biomass (including agricultural wastes), coal, oil sands, and oil shales to high value platform chemicals and liquid fuels. You can find a slideshow outlining the partnership and a bit about the OHD process here . In the residential market Bio-stimulants generally retail for $3,500 to $7,000 per 1,000 litres wholesale... considering the cost-savings of OHD put it at around 1/10 th the price, that’s a comparison worth noting and has the potential to disrupt the entire market – particularly given GPP has the right to market its fertiliser into international markets. GPP has the exclusive OHD rights to the Australian and New Zealand Market for the next 15 years and is currently in discussions with international firms and national grower groups regarding off-take and partnering opportunities which would fund the construction of an OHD plant which it hopes could produce 20 tonnes per day. GPP not only want to find a better use for its coal assets, it also wants to contribute to the new electro-powered market of electric cars and battery storage. Lithium has been a hot commodity in the last 12 months, and that’s only set to increase as humanity looks to meet more and more of its needs through electric rather than fossil-fuel powered energy. These two ideas align well; they’re almost twins in the sense that they mix older ways of doing things – coal power, mining – with an eye towards a new market bound by new rules in response to climate change. During the quarter to 31 December, 2016 GPP engaged Borg Geoscience (Director Brendan Borg has 20 years’ experience in exploration, environmental and project development in mining and environmental industries) and met with JV partner Guyana Strategic Metals Inc. (GSM). After a review at the site, GPP announced a Notice of Meeting to approve the option to acquire up to 74% interest in the Morabisi Project, which is prospective for lithium and tantalum (a rare earths metal)... since then following approval by its shareholders, it has executed a binding Heads of Agreement. JV partner GSM was established to pursue strategic mineral opportunities in Guyana, and has applied for a 950,000-acre Permission for Geological and Geophysical Survey (PGGS) which covers historically documented, wide spread, alluvial tantalum and niobium deposits. The country has a ‘non-conflict’ status, which certainly helps boost the potential to mine for minerals and metals, and provide a crucial point of difference compared to other sources. GSM believes the Morabisi Project contains widespread lithium-bearing pegmatites given the geological setting of this company’s ground is almost identical to the Pilgangoora Hotzone in Western Australia – which is the same size as the Guyana project and hosts over $2 billion of ASX listed lithium explorers and developers. Giving further encouragement most geos are well aware that where you find tantalum you usually find Lithium – the only differential being the calibre of the lithium grade. Earlier this month, GPP announced it had started ‘phase 1 activities’ at Morabisi now that the wet season has ended... and it’s expecting to generate early results in the coming weeks. The current work will focus on historically reported areas of interest (including historical mining camps in the Robello and Rumong-Rumong rivers where Niobium and Tantalum production has been undertaken in the past), as well as looking for additional target areas. Sampling is in full swing with results soon to be released to market. Now let’s just say the team find exactly what they’re looking for... in that case, pay day may not be that far off for GPP, which has exclusive rights to earn 74% project interest under the HOA with GSM. Hidden in its back pocket somewhat, GPP are also looking at connecting a third dot in its grand plan, with its hands on a 100%-owned hypersaline brine holding in the Northern Territory. Earlier this month it announced it had secured a license and begun field and test work including water sampling, soil sampling, and radiometric surveying at EL 31496 – AKA the Pretoria Project. 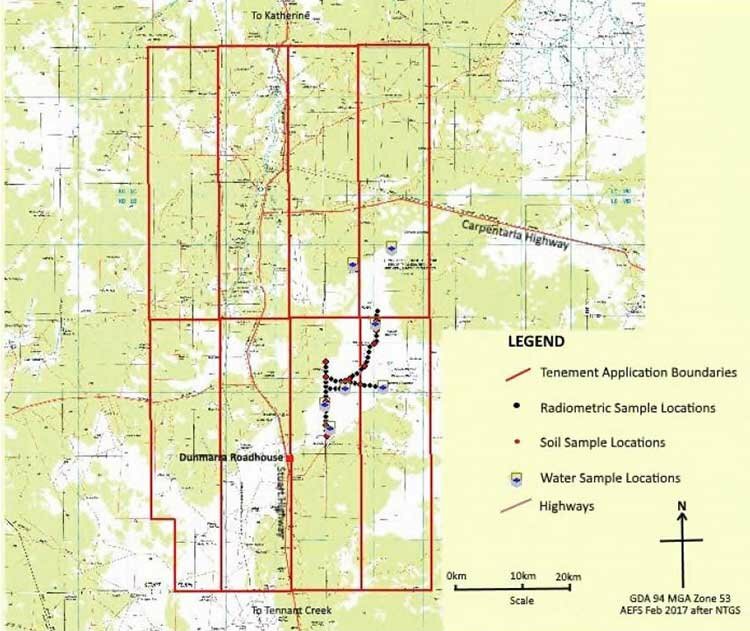 The area it is licensed to explore has a distinctively high potassium radiometric signature coinciding with a flat claypan (at Balmoral Lagoon) which is being tested for its surface Sulphate of Potash (SOP) potential in addition to deeper lithium brines. All reports so far from the company indicate management are licking their lips at the early data from on-ground exploration activities... with historical well data confirming the presence of potassium, magnesium, chlorides and sulphates (with the right mix to support production of the SOP to the Australian fertiliser market). However, like its agricultural tech play, this brine play is also in its early stages and there is much more ground to cover. Investors should seek professional financial advice if considering his stock for their portfolio. With samples for assay already collected, they are on their way to the Australian Laboratory Services to be tested for metal bearing brines – A.K.A lithium similar to the giant Albemarle lithium brine play in Nevada. Which means investors can look forward to results over the coming weeks. The Pretoria Project covers 6,250 km 2 of the MacArthur Basin. Exploration so far has targeted the acreage within the Hayfield and Shenandoah Stations, to the northeast of Dunmarra Roadhouse, representing an area of approximately 270km 2 . The radiometric surveying is fairly key here, as it shows high potential for potassium deposits. The surveying is currently being conducted along existing tracks across the claypan with a hand-held scintillometer (which records radioactivity in addition to potassium, thorium and uranium) – data from 50 separate points on the claypan will be brought together to form a picture of what’s up for grabs. Cleverly, GPP is also making use of existing water bores where historical sampling has been done to save on exploration costs. The company also has access to a historical petroleum well and water bore data which shows the brine has considerable potential to produce highly sought-after fertiliser products like Sulphate of Potash and Sulphate of Potash Magnesia. Obviously, this ties in synergistically with GPP’s keystone OHD process, and could conceivably lay down a path to be a future major dominator within the agricultural sector. Other minerals indicated to be present at the site all lend themselves nicely to future production of Sulphate of Potash. GPP’s name Greenpower Energy speaks for itself. This is one company that wants to make good on creating a clean energy future, using disruptive technology, whilst exploring for materials that power a green future. Its OHD bio-stimulate fertiliser continues to impress as it further enhances the view that it is a competitive substitute to the current expensive alternatives used by the horticulture and cereal cropping industry. The trials and results to date will further enhance GPP’s product credibility as it engages with potential partners and looks to fund and finalise the costing of its Australian OHD bio stimulant fertiliser plant. Importantly GPP holds the rights to manufacture bio-stimulant fertilisers in Australia and owns the rights to distribute the Australian manufactured product internationally. Given the inbound interest in potential off-take and partnering, GPP has sought to promptly undertake OHD trials on Canola and Palm Oil plants given the US$100+ billion potential of these combined markets. The future looks pretty lush for GPP, especially if its new, clean approach to turning coal into fertiliser for several agricultural and horticultural markets can shift negative attitudes to coal into more positive ones.